This past Saturday I had the wonderful opportunity to be one of 4 judges in a "Model for the Day" contest. 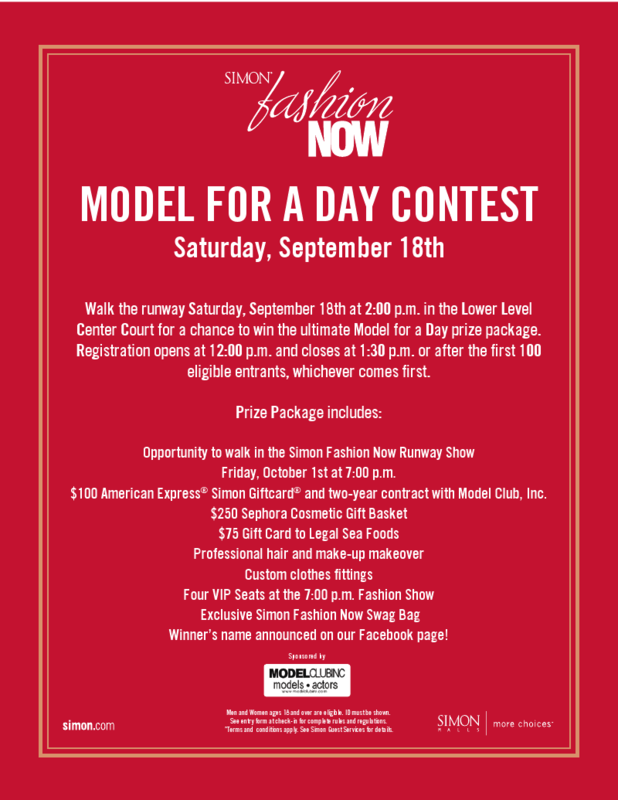 This was an open casting call where the lucky chosen model will have the opportunity to walk the real runway with professional models during the Simon Fashion Show Now on October 1st at 7pm. 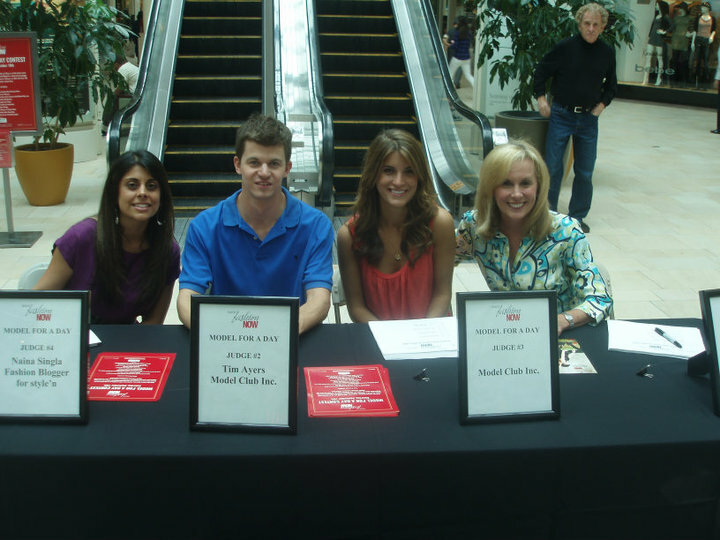 Other judges included Tim Ayers, Agency Director with Model Club Inc, Corinne Demadis, Booking Agent with Model Club Inc, and Candy O'Terry, Magic 106.7's on air personality. For this event I wore a reversible Built by Wendy dress from Flock. Flock is definitely becoming one of my favorite boutiques in Boston and Dani, one of the store owners is so stylish, knowledgeable, and helpful. This is what the dress looks like without the belt. (sorry but the belt caused a few wrinkles) Next time I might turn the dress inside out and wear it as a navy dress. I think adding a pair of brown flat boots would create a really nice relaxed and casual look. Here is more information on the fashion events for those of you who live in the area. In the midst of Boston Fashion Week, Copley Place will host the Copley Catwalk Monday, September 28 – Friday, October 1. Monday, Wednesday, & Friday from noon-2:00 p.m.: fashion show with five up and coming designers. Tuesday from 6:00-8:00 p.m.: Barneys New York fall fashion show with Boston Common magazine. Thursday at 6:00 p.m.: Neiman Marcus fashion show followed by cocktails and hors d’oeuvres. Simon Fashion Now spotlights must-have fashion trends from Burlington Mall retailers. Friday, October 1st from 6:00 – 9:00 p.m. (located in the Nordstrom wing): Trends and Friends Night: Free food and runway shows featuring Lord & Taylor, bebe, Betsey Johnson, Caché, Lucky Brand Jeans, Metropark, and Zara. 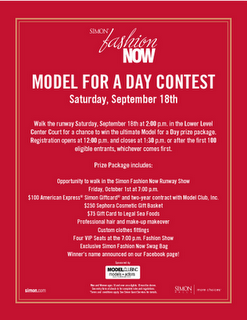 Saturday, October 2nd from noon- 5:00 p.m. (Located in center court, level one): Runway shows will be held at 1:00, 2:00, 3:00, and 4:00 p.m.
For more information on Simon Fashion Now, visit www.simon.com or www.facebook.com/SimonFashionNow.